Games developer and publisher Blizzard Entertainment has moved to clarify reports that Diablo 3 players are falling victim to widespread account hacking. Since the release of the action-RPG earlier this month, large numbers of players are reporting their accounts have been commandeered, with saved items pillaged and game progress lost. Blizzard has assured gamers, (if you can call it an assurance), that the hacks have been completed through 'traditional' password thievery, debunking other wild theories. In a post on the game's Battle.net community forum 'Baschiok' said: "We've been taking the situation extremely seriously from the start, and have done everything possible to verify how and in what circumstances these compromises are occurring. "Despite the claims and theories being made, we have yet to find any situations in which a person's account was not compromised through traditional means of someone else logging into their account through the use of their password." Baschiok also encouraged gamers to use the company's authenticator tool to safeguard their accounts. Earlier on Tuesday, Blizzard said a spate of hacks following a high profile release is not uncommon and pointed out that the company has experienced similar occurrences with World and Warcraft releases. 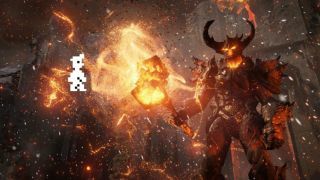 A statement said: "Historically, the release of a new game - such as a World of Warcraft expansion - will result in an increase in reports of individual account compromises, and that's exactly what we're seeing now with Diablo 3." The company apologised and said it sympathised with the frustrations of players whose progress had been "rolled back"